Anyone who believes that zombie women can't be beautiful or elegant has obviously never seen some of the Women's Costumes here at the Zombies Playground, because many of these zombie costumes are just the ticket to creating a walking dead look that remains classy, stylish, and beautiful, as well as somewhat frightening. There are a number of attractive and elegant gothic gowns that are tattered and twisted into a classic zombie style while still retaining more than a shadow of their former grace, perfectly combining elegance and ghoulishness into one impressive costume. Of course, not all women want to be a pretty zombie, and so we also offer a number of costumes that lean closer towards realism, creating zombie looks that will terrify with shocking ease. And best of all, these costumes aren't limited, in scope or in use. 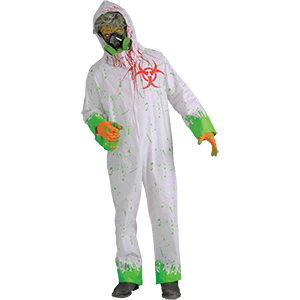 If you just want to look like a zombie or an undead, these costumes are perfect whether you're dressing up for Halloween, participating in a zombie walk, or helping someone re-create their very own zombie outbreak! 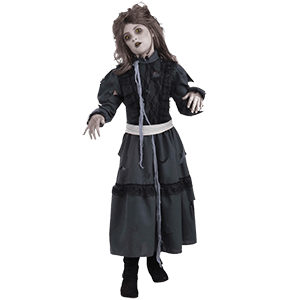 When you need a zombie costume that is frightening, fantastic, or just plain fun, check us out at the Zombies Playground to find the zombified Women's Costume that fits your every need.